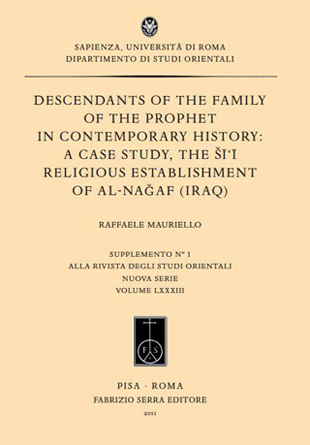 The book Descendants of the Family of the Prophet in Contemporary History: A Case Study, the Šī'ī Religious Establishment of al-Nağaf (Iraq) examines ‘Alids’ role in contemporary history and the multiple uses of genealogy and family history in the Islamic civilization. It analyses the history of four major branches of the ‘Alid family: Bahr al-‘Ulum, al-Hakim, al-Khoei, and al-Sadr. These families are members of the supranational Shi‘i religious establishment, but have at the same time a peculiar relation with the city of al-Najaf, in Iraq. The ‘Alids claim to descend from the Prophet Muhammad through his daughter Fatima and his cousin ‘Ali ibn Abi Talib. They are the elite family of Islam and have played major roles in Islamic history. 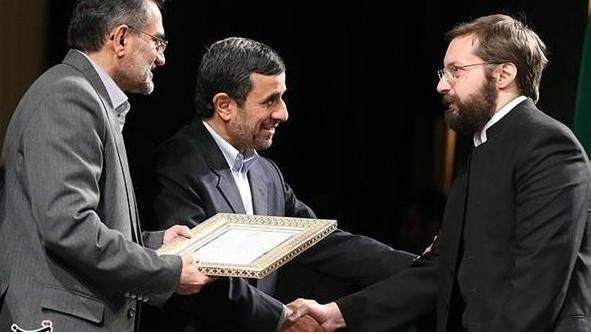 In the last decades, Alid members of the religious establishment have emerged as the main representatives and leaders of the Shi‘i communities worldwide: Abu al-Qasim al-Khoei, Muhammad Baqir al-Sadr, Muhammad Baqir al-Hakim, Ali al-Sistani, Ammar al-Hakim, and Muqtada al-Sadr in Iraq; Ruhollah Khomeini, Ali Khamenei, and Muhammad Khatami in Iran; Musa al-Sadr, Muhammad Husayn Fadlallah, and Hasan Nasrallah in Lebanon; Muhammad al-Shirazi, Sadiq al-Shirazi, Muhammad Taqi al-Mudarrisi, and Hadi al-Mudarrisi in the Persian Gulf; Muhammad Bahr al-Ulum, Majid al-Khoei, and Fadil al-Milani in the West. Based on an extensive use of written primary sources in Arabic and Persian and interviews conducted between 2005 and 2011 in London, Lebanon, Syria, and Iran with members of the Bahr al-‘Ulum, al-Hakim, al-Khoei, and al-Sadr families and of their circles, the book covers in particular the period followed to the Islamic revolution in Iran (1979) up to present days.